scrappin it: DCC Blog Hop - Buttons Galore and More! DCC Blog Hop - Buttons Galore and More! Hello dear friends! It's time for another inspiring Designer Craft Connection Blog Hop and this time we all created projects with Buttons Galore's amazing buttons. I created a buttons bracelet all made with buttons connected together with a metal wire. I embellished the buttons with some more buttons by adhering different sizes and colors of buttons to each other. Do you want a chance to win Buttons Galore Buttons and a Viewtainer container? Simply hop through the Designer crafts Challenge hop using the "hop forward button" at the right side of this blog. Visit all the designers and see their button crafts. 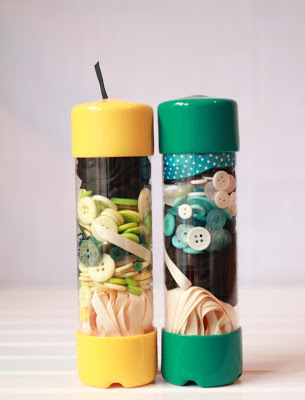 March 17th, 2013 at 11:59 eastern standard time, you will have a chance to win one of the Viewtainers shown above "loaded" with an assortment of buttons and 45 feet of ribbon! your botton braclet is really cute . your tub of buttons and 45 ft of ribbon is a lot to put up for some one lucky to win.... have fun honey.....love seeing your art.... have a great week. Well a hop sounds like fun, and your button bracelet is adorable!